Architecture, as it is understood in constructing simple human habitats, apparently appears to be an uncomplicated act for the architect, but in fact a complex concern due to the cryptic complexity of each and every individual, creating obscurity that obviously makes it impossible that no single formula or definition can distinctively define any design that could eventually enchant the exclusivity of every person. If the intricacy of individual preferences emanates from the conspicuous conscious mind, it could be communicated easily and effortlessly by the client to the architect who design and build the space. On the other hand, each exclusive individual impression amalgamate from arcane depths of the unconscious that is unseen, unknown and mysterious to make it difficult for a person to articulate unambiguously the required need, fashion and, pattern. 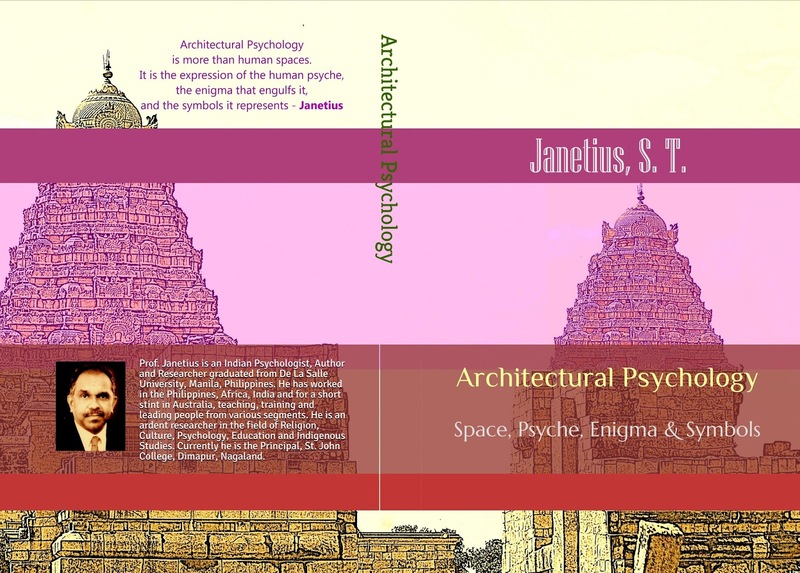 Since the deep-seated unconscious has a crucial chore in the inimitable individual’s architectural aspirations, the impenetrable depths of human psyche need to be infiltrated and for that, the knowledge of depth psychology is indispensable. Depth psychology, therefore, penetrates the profoundness of psychic manifestations to assist architects and clients to capture the aesthetic allure that which arises from the sui generis psyche and its unfathomable unconscious and tries to comprehend this complexity capitalising preternatural procedures of psychological suppositions. Depth Psychology is an umbrella term that discovers deep-rooted inner motives of human behaviour by few schools or approaches of psychology. The term was coined by a German professor of psychiatry Eugen Bleulerin at the beginning of 20th century. It has been used extensively to classify Freudian and Jungian psychology that gives extra emphasis to the complex concept of the unconscious. The word depth means that which lies below the conscious memory or recollection of a person, that which is not obviously obtainable, available or accessible, remembered or retrieved. In simple terms, depth psychology explores the lowest point of every experience, the underlying unknown causes behind human behaviours. Depth Psychology is all about exploring the mysteries of the unconscious as it manifests through recurring dreams, impulsive images and surfacing symbols of the mind, sporadic slips of tongues, hilarious touches of humours, consequential coincidences in life and through many instinctual interactions, all that in life that a person is not in control or unaware of. Moreover, it explores not only the individual unconscious schemes and operations, goes further into societal and cultural external expressions and internal interpretations, and the way all that affect the psyche (mind). In fact, to explore this complex behaviour from a depth psychology perspective, an interdisciplinary or multidisciplinary approach needs to be employed; mainly, literature, arts, philosophy, mythology, culture, religion, rituals and the other primordial praxis that transfuse the inner self with inconsistent interpretations and meaning need to be considered. Eugen Bleuler, (April 30, 1857-July 15, 1939), is a Swiss Psychiatrist who is known for introducing the term schizophrenia to describe the disorder previously known as dementia praecox. He was an early proponent of the theories of Sigmund Freud. He is also one of the pioneers in removing the belief that psychosis was caused only by organic brain damage rahter it could have psychological causes too.